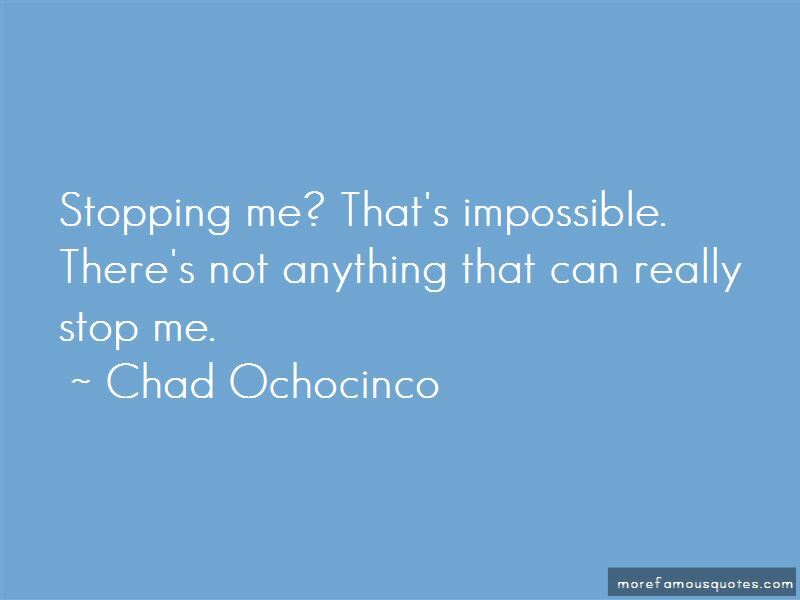 Enjoy the top 12 famous quotes, sayings and quotations by Chad Ochocinco. Stopping me? That's impossible. There's not anything that can really stop me. In high school, when you're a top player, there are ways of getting eligible, ways of getting out of going to class. It made going to the next level, which is college, that much harder. Tennessee is a very country-type state. 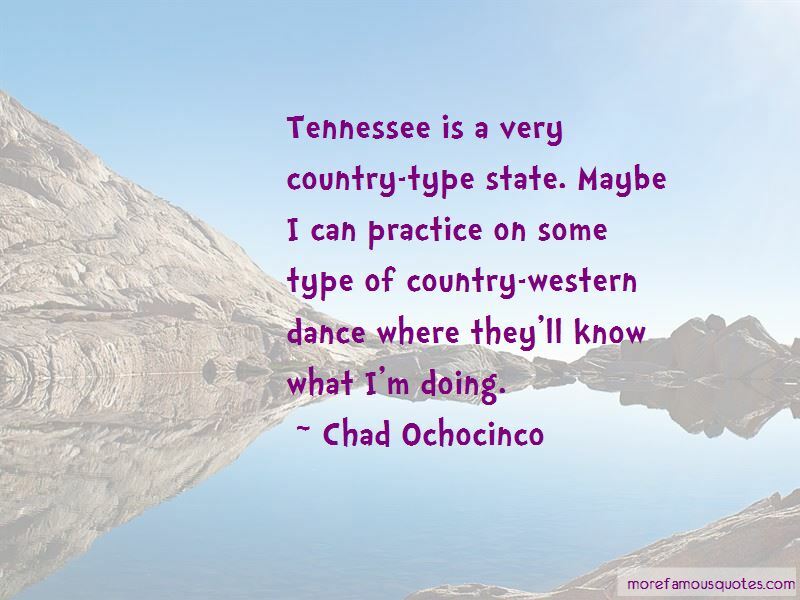 Maybe I can practice on some type of country-western dance where they'll know what I'm doing. 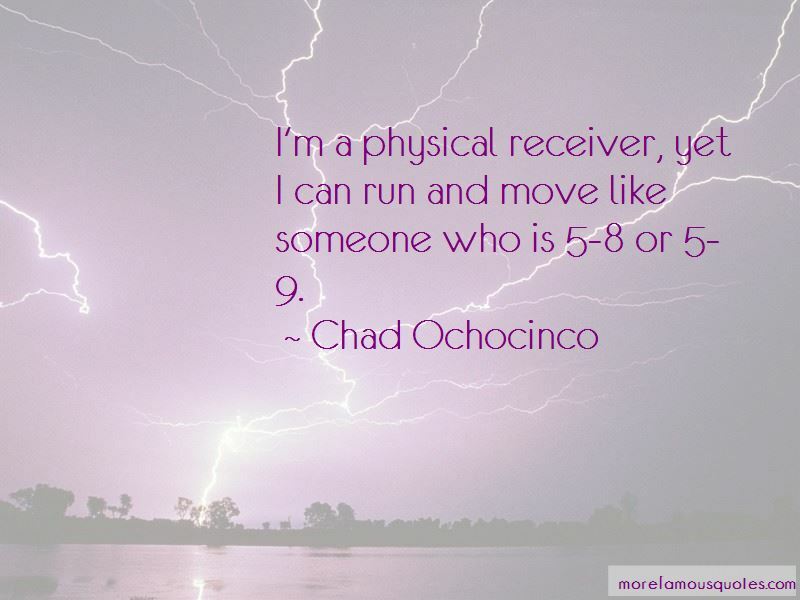 Want to see more pictures of Chad Ochocinco quotes? 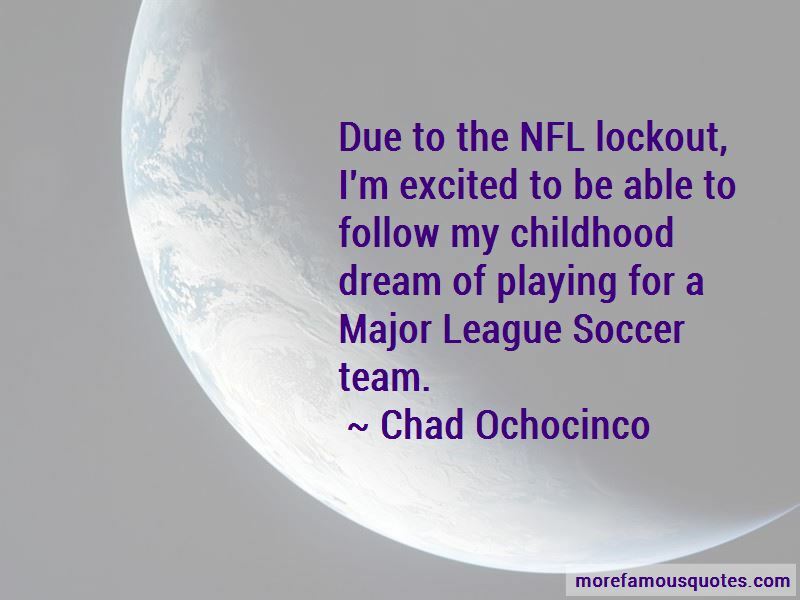 Click on image of Chad Ochocinco quotes to view full size.